John Sadler was born in North East England and has had a lifelong passion for all aspects of military history, particularly the Anglo-Scottish Border conflicts. He is involved with the Bell Heritage Centre Bellingham, which houses a number of collections about the history of the border area of North Tyne and Redewater. 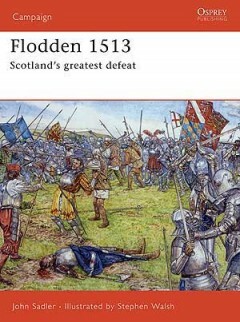 He has written many books on medieval Scottish history. John lives in Newcastle upon Tyne, UK.